Older homes in low lying areas feature a crawl space. While the place of this space is contentious, one area of agreement is that crawl spaces suffer from water problems. These spaces were not waterproofed during construction and the fact that they are out of sight means that homeowners don’t make any efforts to improve moisture management. As a homeowner, it is important to appreciate the extensive damage that water in the crawl space causes. Continued water presence in the crawl space will promote toxic mold growth on moist wood surfaces. Mold spores are allergens and they cause respiratory health problems when the crawl space air flows to the upper levels of the house. In addition, high moisture levels will corrode foundation fasteners while also leading to rot. These two compromise the integrity of your foundation. There is also the presence of vermin including rodents, which are attracted by moisture presence in this space. High moisture presence in the crawl space also affects wooden floors and leads to deterioration of indoor air quality (IAQ) in your home. Now that you appreciate how risky water presence in the crawl space can be it is important to deal with the problem comprehensively. Crawl space waterproofing it is important in improving indoor air quality, improving the health of your family and protecting your property. Crawl space flooding can be caused by a variety of issues. These range from poor grading, foundation wall damage, tree root damage, poor surface drainage, sump pump failure and seepage from the floor, window well overflow, and sewer backup among others. Before waterproofing this space, the source of water leakage has to be identified and this can only be done by a certified foundation contractor. This is the next important step once the water problem has been identified. A contractor will propose total encapsulation of the floor and walls to eliminate any entry of vapor and water. The space created can be used for storage of appliances that are not regularly needed. 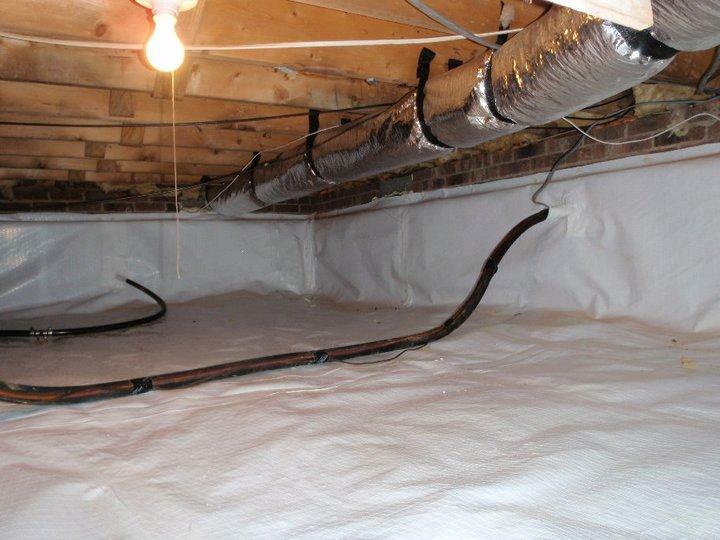 The other option is installation of a vapor barrier on the foundation walls to avoid entry of vapor and Radon gas. Comprehensive crawl space waterproofing should also include reduction of humidity levels in the space. A dehumidifier helps maintain minimum humidity levels to avoid condensation. This also eliminates mold growth and rot on wood surfaces. A crawl space waterproofing contractor has the tools and skills to get the job done affordably and more effectively. If you notice any crawl space water warning signs, call in these experts and protect your family and the property.